The Office of Sustainability has been making considerable strides through programs and initiatives with a range of focusses to achieve notable success towards an environmentally friendly campus. In fact this summer, UMass Lowell rose to number 22 in Sierra Club Magazine’s “cool school” ranking, scoring more than 100 spots higher than the school’s 2017 ranking of 124. One of Sustainability’s newest programs is UMass Lowell’s Community Supported Agriculture program, an initiative designed to help grow and provide produce in an urban setting. The university collaborated with Mill City Grows, a Lowell nonprofit that provides urban communities with fresh produce to create the Urban Agriculture Greenhouse. With a grant from the Massachusetts Department of Agriculture, UMass Lowell was able to create an 1,800 square foot agriculture site on East campus. Sustainable campus initiatives have also been implemented to help students. 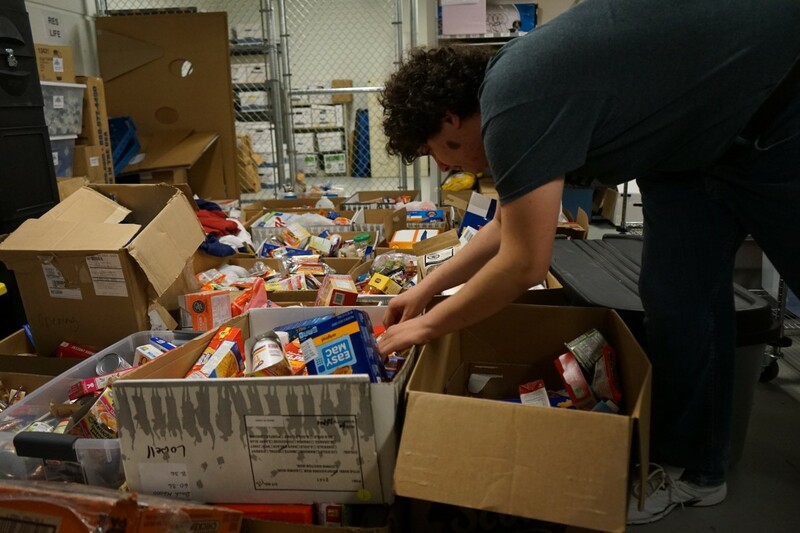 In the past couple years, the Office of Residence Life, in collaboration with the Office of Sustainability, began what is known as the Move Out Donation program, where leftover and donated items from move out at the end of each semester are redistributed to students in need. According to Ciaraldi, the program provides starter kits to students that include sheets, pillowcases, blankets, towels, clothes, hangers and other room items depending on what is available. The program helps low income students, students who came to the university homeless, and international students. “Literally thousands of pounds of throw away items for some have become very useful for others,” said Ciaraldi. In response to growing concerns over a lack of outdoor trash receptacles, the office also placed new trash and recycling barrels at various bus stops throughout campus. “We heard folks’ feedback and listened, and we wanted to provide what was needed,” said environmental and sustainability waste management coordinator, Pamela Beckwith. There are also new electronic collection boxes located on all campuses where people are encouraged to dispose of any non-university owned electronics like computer mice, cell phones, and tablets so they can be responsibly recycled instead of possibly ending up in a landfill. The University plans to focus the operations of its sustainability programs in order to save money while being more environmentally friendly. Future efforts include educational programs around waste, recycling, and energy for the campus community as well as an assessment of all UMass Lowell residence halls’ recycling and trash infrastructure. The Office of Sustainability plans to work with students, operations, housekeeping, and residence life staff to increase non-contaminated recycling streams. Both Arrigo and Beckwith note the immense support from all members of the UMass Lowell community including students, faculty, Chancellor Jacquie Maloney and UMass President Marty Meehan. “I think what’s so fulfilling for me and why I love my job so much is that there’s so much support for sustainable initiatives,” said Beckwith.